We are pleased to announce that Jesse Reiter has been selected to be a Fellow of the American Bar Foundation. Membership as a Fellow is limited to less than 1% of lawyers licensed to practice in each jurisdiction, and the organization of Fellows is comprised of legal scholars, judges, law faculty and attorneys who have been elected by the Board of the American Bar Foundation. 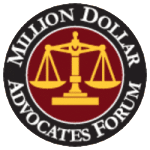 Members of this organization have demonstrated dedication to the welfare of their communities and to the highest ethical standards in the field of law. The Fellows support the research of the American Bar Foundation, which seeks improve law through in-depth research of the most pressing issues facing the legal system in the U.S. and throughout the world. 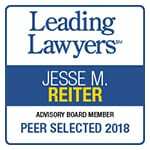 Jesse Reiter, founding partner and president of Reiter & Walsh ABC Law Centers, is the Chair of the Professional Negligence Section of the American Association for Justice (AAJ), as well as the past President of the Michigan Association for Justice (MAJ). 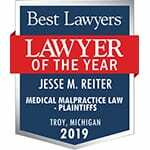 In 2006, Reiter was named “Lawyer of the Year” by Michigan Lawyers Weekly, and in 2012, the organization deemed him one of the “Leaders in the Law.” Reiter has been recognized as a top lawyer by Super Lawyers Magazine for the last 6 years, and the magazine recently listed him as one of the 10 best attorneys in Michigan, as well as one of the 5 best Michigan Consumer Lawyers. In addition, Reiter has been honored as one of “The Best Lawyers in America” every year since 2008, and this includes an award for 2015. Reiter & Walsh, P.C. is currently listed by U.S. News and World Report 2015 as one of the best medical malpractice law firms in the country. Reiter has decades of experience in birth trauma litigation, and after working as a defender of hospitals for one of the region’s largest firms, he decided to focus solely on representing children and their families. In 1989, Reiter joined the MAJ, one of the nation’s most powerful pro-plaintiff bar associations, where he advocated for and contributed to laws that protect patients’ rights. Reiter is a board member of several national litigation groups, including immediate past Co-Chair of the Birth Trauma Litigation Group. Martindale-Hubbell rates Reiter as AV-preeminent for having achieved the highest possible peer review rating in both legal and ethical standards, and he is an Avvo Superb Rated Attorney, with the highest rating of 10/10. Reiter is a regular speaker, organizer and moderator at medical malpractice and birth trauma seminars in the U.S. and internationally. One of his greatest passions is helping injured children and their families, and he attains a great sense of satisfaction from handling the most complex birth injury cases. Reiter thrives on the challenges of cross-examination and he finds nothing more satisfying than a hard-fought case in which a physician or nurse admits to medical malpractice. With over 28 years of experience in birth injury law, Reiter’s expertise has helped him secure over tens of millions of dollars in settlements and verdicts for his clients. Reiter is unique among other medical malpractice attorneys in that birth injury law is his sole focus. Reiter’s dedication is fueled by his desire to help his young clients obtain their dreams of being as independent as possible. If your baby experienced a birth injury and now has seizures, hypoxic ischemic encephalopathy (HIE), developmental delays, cerebral palsy or any other long-term condition, contact Reiter & Walsh today at 888-419-2229. Our award-winning birth injury lawyers are available 24/7 to speak with you.